Run alongside Edinburgh Marathon Elite runners Caroline Jepchirchir and Joel Kipkemboi Kiptoo in this unique opportunity on Friday 25th May at 6pm! Caroline and Joel are the elite runners taking part in the Edinburgh Marathon as part of the Project Africa Charity. Whilst here, they’re delighted to take part in one of our award-winning city tours with YOU! 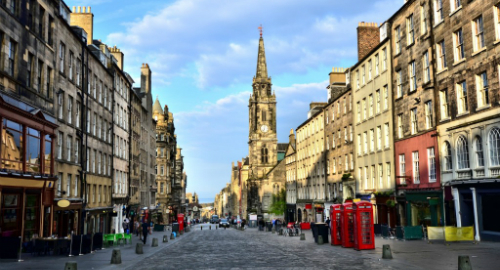 More than just a walking tour of Edinburgh, this is a gentle jog through the city, and because of the pace we’re going, we can enjoy seeing a lot more than you would on a walking tour. An EMF Running Tour gives you the perfect opportunity to see some unexpected sights mixed in with the cultural history of the place. The tour starts at the entrance to the impressive Scottish Parliament building in the picturesque setting of Holyrood Park. 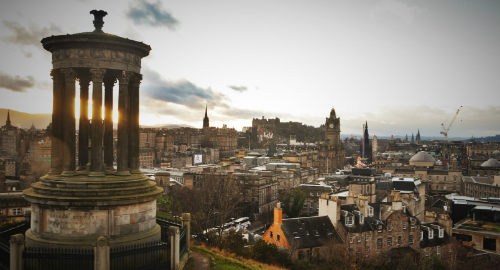 The first kilometre will take you up to Calton Hill, giving you a panoramic view of the city. The rest of the tour will take you through parts of the old and new town of Edinburgh before you finish up at the Historic Scotland Education Centre. TO BOOK please select the 6pm time slot on Friday 25th May, standard tour (the budget tour does not cover this experience). Finishing with a Q&A session where you can ask our elite runners any questions you may have! Had a very good time running around Edinburgh's less obvious streets. 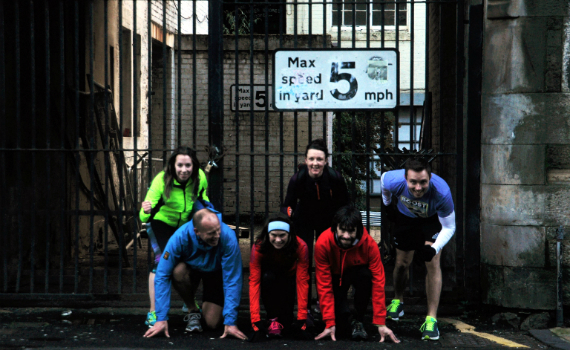 This is a great thing to do if your on your own or if you want to run round a city. Wish they did more cites as this is a great idea. The guide was very knowledgeable and despite having been to Edinburgh 100+ times I learnt a lot. It is a running tour, but it's not for pro's. It was 5 very easy miles with lots of stops and plenty of opportunities to take photos. I'd give it fifty not five stars if I could! Takes you to so many gems around Edinburgh that are hidden away and makes you laugh throughout! Couldn't recommend it more! They're very considerate with the pace too! 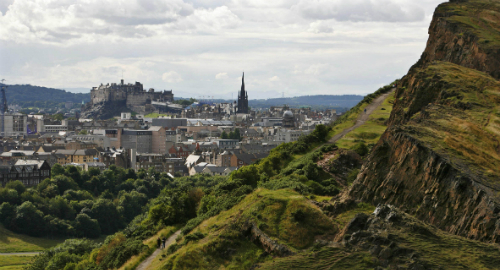 We already loved Edinburgh, so how could we love it more? Seeing it running, of course! James was so very knowledgeable and accommodated the pace of our family. We've done a bus tour before but the amount of ground and the tucked away places you can see during a running tour is amazing. His knowledge of the city and surroundings was impressive. The price point was very manageable for our family. Thank you, Edinburgh Marathon group, for adding this! We will definitely be back and when we do...we'll bring our running shoes again for another tour!! My wife and I did a 6pm tour with James. It was a great and unique way to see the city the day we arrived. James is very knowledgable and we learned tons about the city. He also took us to spots I don't think we would have found on our own. Running is such a good way to see a city, wish there were more tours like this in other cities! James and Raymond did an outstanding job with this tour. It was very approachable as a novice jogger, and we saw so much in 5 miles than most people would see in a few days. Great views, interesting history, and wonderful company. Thank you so much! James was an excellent tour guide and great company. I'd recommend this to anyone looking to do a running tour of Edinburgh. Running tours are a new concept to me but after this I'd do all major cities this way instead of being on a tour bus. We ran this morning at 7am and the weather was kind. Ran at around 8kmph pace which was very comfortable. If you want to combine some exercise with an interesting, historical, and entertaining tour of Edinburgh, this is not to be missed! My tour on December 23 with James was fabulous- at just the perfect pace and perfect length. I couldn't wait to show my family some of the previously "hidden" spots when we went out walking the next day. The staff couldn't be nicer and I'd sign up again and again! Thank you EMF Running Tours!